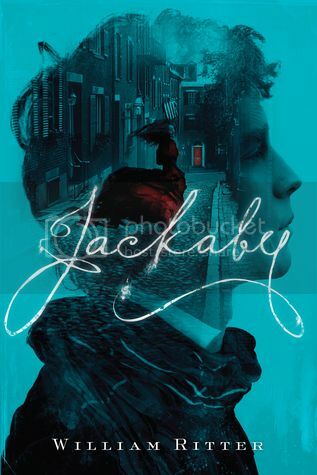 I've had Jackaby by William Ritter on my TBR for a while now, and I'm really not sure why I waited so long to read it! It sounded like the perfect book to have on my Halloween TBR, and I happened to find the audiobook on the library website, so I figured I'd give it a go. So glad I did! I loved this book!! There are SO many characters in the story that I ended up absolutely loving! The main character, Miss Abigail Rook, wants nothing more than to have adventure in her life, so she sets out to do just that. I envy her for the determination that she has. Such a smart young lady! Also, there's Jackaby himself. Ha! This man, he's so peculiar, and made me laugh so many times. Abigail and Jackaby make a great pair, and I'm looking forward to seeing what adventures they go on next. There are also a lot of great secondary characters in the story as well, including Jenny, Charlie, Douglas and even Marlowe. I'm also SUPER curious to see if we ever learn the story about the frog. For some reason I went into this book thinking it had something to do with Jack the Ripper, (I'm not sure where I got that from. ), but it totally didn't. I love the storyline though. It was a mystery and fantasy all mashed into one book that kept me hooked as I listened to the story. And, it's a pretty quick read as well. I listened to the book in audiobook format, and I have to say that the narrator, Nicola Barber, did a wonderful job with telling the story! I loved her voice, and the voices she made for all the characters. Overall; Jackaby won me over, and I can't to read the next book in the series, Beastly Bones, which I currently have from the library and plan to start soon, and then Ghostly Echos after that. I'm also thrilled to discover that there's going to be a fourth book as well!